We can also field trailer-installed water and ice production systems than can use virtually ANY on-site water supply and power to produce an extremely high quality potable water supply in remote locations. The mobile system reduces or eliminates the need for potable, drinking water or ice deliveries and their supporting logistics. The self-contained system has all processing and controls built into the twin 20 ft. processing and wastewater trailers, and features a single electrical connection and single source water connection. 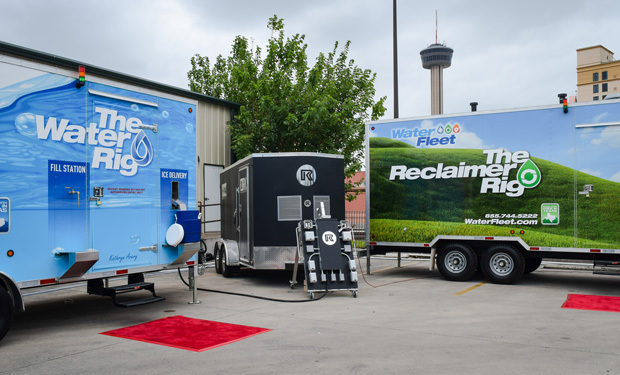 Want to rent Water Supply Trailers?